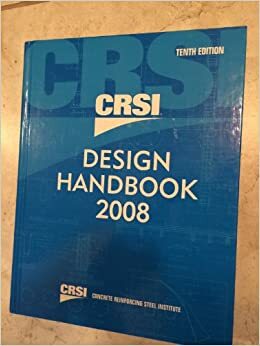 CRSI MANUAL - Manual of Standard Practice January 1, 2009 - CRSI The 28th edition of the Manual of Standard Practice contains information on recommended industry practices for estimating, detailing, fabricating, and placing reinforcing steel for reinforced concrete construction. Tue, 04 Dec 2018 11:10:00 GMT API Manual Of Petroleum Measurement Standards Engineering360 - In the petroleum... .1 Comply with CRSI Manual of Standard Practice and ACI SP-66. No welding of No welding of reinforcing bars will occur, unless authorized in writing by the Engineer.